Perfect app for the the entire family! 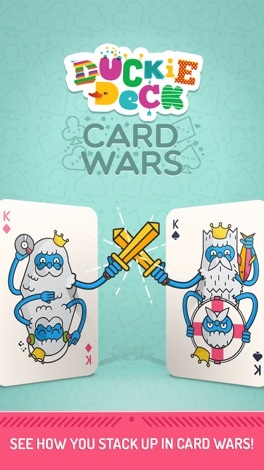 "Helps to boost early-learning math skills"
How will you stack up against your friends in a game of Card Wars? 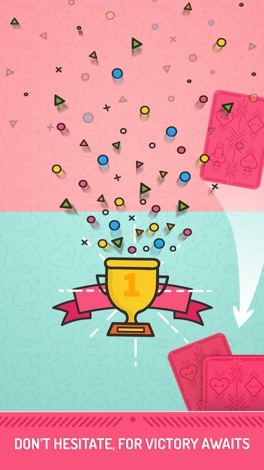 The classic, cross-generational card game has been given a colorful makeover in our latest toddler friendly app. It’s a family favorite that can be played by anyone, and is most fun with two competing opponents. 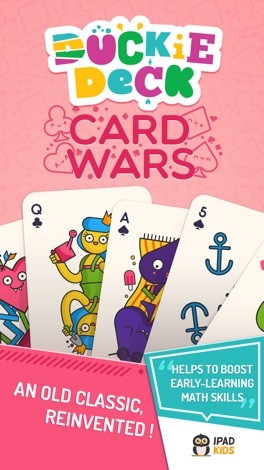 Card Wars is an opportunity for young kids to practice counting up to ten while also matching value to numbers. They will hone their mathematical and deductive reasoning skills, while learning the basic rules that are inherent to most card games. 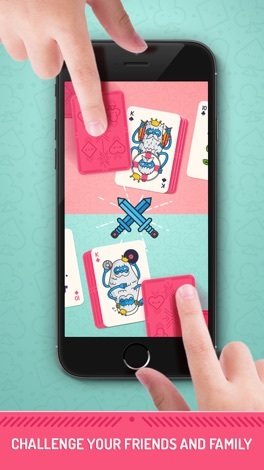 Just flip a card from each player’s pile, and decide which one wins the hand. 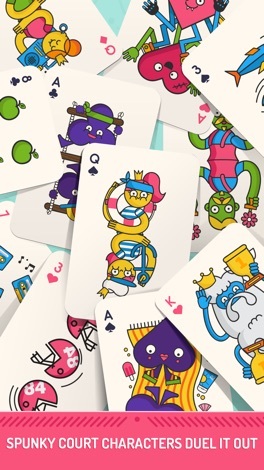 Cards feature playful court characters with varied hobbies, as well as complimentary objects to help with counting. With colorful graphics, dynamic elements and fun sound effects, our app is sure to capture a child’s imagination. The simple user interface makes it easy for kids to play independently, or together with a friend or family member. Our goal is for kids to have fun while learning and developing their motor skills and coordination. Most importantly, this application is designed to be completely safe and to protect kids, therefore it has no additional payments or advertising. At Duckie Deck we create smiles. Our biggest goal is to support healthy and well-rounded development in the youngest technology users, while also creating opportunities for learning and play to extend beyond the virtual world. Toddlers and preschoolers across the world are playing our educational apps and growing happier by the minute. We cover some of the most essential points needed to form healthy personal and social habits – like brushing your teeth, sharing with others and caring for the environment. Come smile with us! This application is a player for wizards created on www.logicinstep.com. It presents a flowchart as a step-by-step interactive wizard with guidance and external references. = Swipe your finger left and right. = Avoid Potholes. = Rush through the Gap. * Beat your friend's score in Leaderboard. A store located at 44-80 21st St, Long Island City, NY 11101, USA With the App you can browse for the wines & spirits available in the store, and also order a delivery or pickup. This application is an encyclopedia. Encyclopaedia contains 1000 facts and 100 articles from space.